← Congratulations Week 11-04-13 Giveaway Winner! Welcome to my Friday bonus feature called Karen’s Killer Fixin’s **Author Special**!! Today, in lieu of one of my own recipes, I’m going to introduce you to a new author who will share one of her favorite recipes. Not only will you and I occasionally learn how to make something new and delicious, but we’ll get a chance to check out some wonderful authors. Introducing co-authors, KELSEY BROWNING & NANCY NAIGLE, and their favorite recipe for CHOCOLATE PECAN PIE! About the authors, Kelsey Browning & Nancy Naigle…. Kelsey Browning writes sass kickin’ love stories and Southern cozy suspense. Originally from a small Texas town, Kelsey has also lived in the Middle East and Los Angeles, proving she’s either adventurous or downright nuts. These days, she hangs out in northeast Georgia with Tech Guy, Smarty Boy, Bad Dog and Pharaoh, a Canine Companions for Independence puppy. She’s currently at work on the next book in her Texas Nights contemporary romance series and The Granny Series. For info on her upcoming single title releases, drop by www.KelseyBrowning.com. 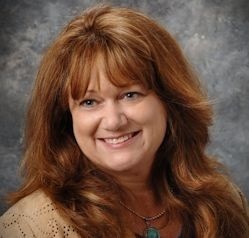 Nancy Naigle writes love stories from the crossroad of small town and suspense. Born and raised in Virginia Beach, Nancy now calls a small farm in southern Virginia home. She’s currently at work on the next book in her Adams Grove series and The Granny Series. 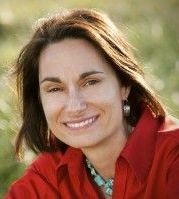 Stay in touch with Nancy on Facebook, Twitter or subscribe to her newsletter on her website ~ www.NancyNaigle.com. We’re often asked how we decided to co-write The Granny Series. Well, we didn’t so much as decide on it as it decided on us. In early 2012, we were attending the Romantic Times conference in Chicago. Often at events like that, writer roommates invariably stay up late chatting about their latest projects, the industry, and chocolate. Since we’re both Southern gals, we also talked about our home states and our families. One of Kelsey’s family stories was about a (hypothetical) threat her mom made against a former family member. Of course, it was all a joke, but they decided Kelsey’s mom would have to be the one to make good on the (hypothetical) threat because in prison, she’d get three square meals a day and free health care. Besides, Kelsey looks horrible in orange. We laughed and laughed about that silly story. But in the morning, Nan woke up and said, “I think we should write that book.” By the end of the weekend, we’d brainstormed a variety of scenarios and laughed until we cried. But the idea stuck, and we began plotting the story that would become In For a Penny. Of course, In For a Penny is only the start of what we have planned for Lillian, Maggie, Abby Ruth and Sera. Join us and the grannies on the first of their many adventures! Where did the idea for The Granny Series come from? Kelsey and I shared a hotel room at a conference and one evening we were relaxing in our jammies – me in my scotty-dog jammies and Kelsey in her moose pants – and we got to talking about my ex-husband. That spawned a conversation about a former family member that Kelsey and her momma had once thought about “taking care of.” As she chronicled the details that she and her mom had brainstormed, I couldn’t help but laugh. Then, she said that her Mom said she should do it because then she could get three square meals and free health care in prison. Kelsey’s response to her mom was, “Good, because I’ve got some more things I want to do.” We went to bed late, late, late that night after hours of silly girl talk and giggles, but the next morning I just couldn’t quit thinking about that story and her momma, a granny, going to jail. We both knew we had to write a story like that…and The Granny Series began. Each of you also writes romance. Why start a cozy suspense series? All of my books always have a little suspense in them. The grannies leant themselves to the storyline. Vigilante grannies just sprang to life. I never expected to be writing cozy (because in my contemporary romances, I write rather…ahem…hottish love scenes). But this idea just grabbed us. Anything that makes me laugh this much HAD to be written. By me 🙂 . Do you have plans for more Grannies in future books? How many more books in The Granny Series? At least five, but the number really depends on reader response. I noticed there’s some strong language in In For a Penny. That’s not normal for Nancy’s work – what’s up? Blame it all on Kelsey. She has an incurable potty mouth. 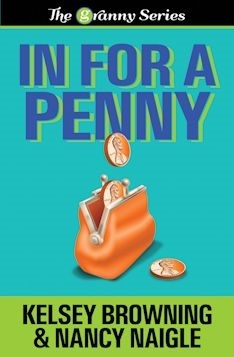 However, hopefully you noticed the language used in In For a Penny fit the voice of the character using it. What’s next for the Grannies? Oh, we can’t keep these gals off the page for long. It’s likely you’ll meet a new granny in the second book and she’ll be a big ole part of their next adventure! Do you have a website for the series? How do I get The Granny Series swag? You can request granny swag through the grannies website www.TheGrannySeries.com or at Nancy’s online store at www.readrelaxrepeat.com. Links to Kelsey and Nancy’s websites, blogs, books, etc. I hope you enjoy the recipe Nancy & Kelsey are sharing with us today on Karen’s Killer Fixin’s. Happy eating! P.S. We’re at 117 recipes and counting with this posting. Hope you find some recipes you like. If this is your first visit, please check out past blogs for more Killer Fixin’s. In the right hand column menu, you can even look up past recipes by type. i.e. Desserts, Breads, Beef, Chicken, Soups, Author Specials, etc. The trick is in keeping the dough cold. Combine flour and salt in a bowl. Cut in the butter with a pastry blender until mixture becomes pebbly. Stir in enough water with a fork, just until flour is moistened. Don’t overwork the mixture. Shape dough into a ball and flatten slightly. Wrap in plastic wrap and refrigerate for at least 30 minutes. Roll out the dough on a lightly floured surface into a 12-inch circle. Fold into quarters and place in a pie pan. Unfold, pressing dough firmly against the bottom and sides. Crimp edges. Prick the crust with a fork. Butter the bottom of a smaller cake pan and set it inside the pie crust in your pie pan. Heat for 8–10 minutes in a 475-degree oven until lightly browned. Put your butter crust in your favorite pie dish—Pearl was partial to ceramic pie plates. In a double boiler, melt only 3.5 of the chocolate bars and the 2 tablespoons of margarine. Stir until smooth. Let cool slightly while you eat that leftover half of a chocolate bar. Whisk eggs lightly in medium bowl. Add sugar, corn syrup, chocolate mixture, and vanilla; stir until well blended. Mix pecans into chocolate mixture and then combine with the egg mixture. Set pie shell on heavy-duty baking sheet and pour in filling. Sprinkle the coconut across the top. Bake 50–55 minutes. The crust will be golden and a toothpick should come out clean when inserted into the center. Cool pie on wire rack to room temperature before cutting. Serve with whipped topping and a few shavings from the last bit of the chocolate bar if you haven’t already eaten it. **SPECIAL ANNOUNCEMENT: Nancy and Kelsey will give away THE GRANNY SERIES swag pack of a drink huggy, ink pen & an autographed Keeper Kase Card to one of their lucky readers who comments on Friday’s Karen’s Killer Fixin’ blog!! Thanks, ladies, for sharing your story with us! I’m here to steal your chocolate pecan pie recipe! 🙂 SOUNDS yummy. Sounds like my kind of ladies! I can’t wait to try the pie! Love Pecan Pie but have never had chocolate in it. May just give it a try to see if we like it. Thanks for the recipe! Love me some chocolate!! May have to try that recipe this weekend. The only pecan pie I’ve had is Nancy’s book, and it was fabulous! 🙂 However, this recipe, and the Granny series sound amazing! How lucky we are today to read more about two wonderful authors, but to get a yummy pie recipe too. Your new Granny Series is something I just have to read, being a real live Grammy too. Have the pecans but now need to get some Hershey bars and make the pie before they are all eaten. Thanks ladies for the fun writing; I love to laugh. That pie recipe is soooo yummy. And if you end up too busy and stressed out to bake it….eat the chocolate and don’t tell a soul 😉 Our little secret. Hugs and happy holidays …. I’m just wondering what kind of substitutions Serendipity would try to make if Maggie cooked this pie?? Maggie is going to have to win her over to the power of chocolate and pecans! Thanks to Karen for highlighting the Grannies and Nan’s yummy pie today. And thanks to everyone who stopped by to say hi. If you make the pie, please take pictures and post to mine or Nan’s Facebook page. Better yet, mail us the pie ;-). My family is going to love that pie!! Oh man chocolate pecan pie sounds wonderful! I have to try this! I can’t wait to meet the grannies! This series sounds great! A chocolate Pecan Pie and books add some peace and quiet and I would be in heaven. So, do y’all need any volunteers to sample your pecan pie? Granny’s and pie! Love the interview, love the pie recipe. We need more books about women over 50. After all, we rock!! Loved this one.